TALLAHASSEE – Today, Department of Elder Affairs Secretary Charles T. Corley praised Governor Scott’s 2014-2015 “It’s Your Money Tax Cut Budget” recommendations, which includes an overall increase of more than $33 million to support Florida elders most in need of care through the Governor’s Enriching Seniors Initiative. The Governor’s recommendation includes a $19.6 million increase to remove the frailest 1,280 elders and adults with disabilities from the waitlist for services under the Statewide Medicaid Managed Care Long-Term Care (SMMC LTC) Program. The program provides comprehensive long-term care services through a uniform statewide program to frail elders and adults with disabilities who qualify for Medicaid nursing facility level of care. Since the program was implemented, six of the Department’s Planning and Service Areas (PSAs) have been transitioned into the new program (approximately 50,000 individuals), including Miami-Dade County with the largest number of clients. The Governor’s Enriching Seniors Initiative also includes an additional $4 million for the Alzheimer’s Disease Initiative (ADI) to provide services for almost 400 individuals who are at risk for nursing home placement and are currently on the waitlist for home and community-based services. ADI services and supports are provided to caregivers and individuals diagnosed with or suspected of having Alzheimer’s disease or other related memory disorders that interfere with activities of daily living. ADI provides respite care services, and caregivers can receive supportive services, such as training and support groups, that are essential to caring for persons with Alzheimer’s disease or related dementias. Additionally, Governor Scott is calling for a $4 million increase to serve approximately 600 individuals waiting for assistance through the Department’s Community Care for the Elderly (CCE) program. CCE is a unique service delivery model for frail elders who are at risk for nursing home placement but not yet Medicaid-eligible to receive community-based services organized in a continuum of care in the least restrictive, most cost effective environment to meet their individual needs. Services may include adult day care, case management, home-delivered meals, and transportation, to name a few. The Governor’s Enriching Seniors Initiative also recommends a budget increase of $3 million for the Long-Term Care Ombudsman Program (LTCOP), a volunteer-driven program that advocates for the health, safety, welfare, and rights of residents in long-term care facilities. Volunteer ombudsmen perform assessments and visitations at all long-term care facilities and investigate complaints. There are more than 4,000 long-term care facilities and an increasing number of long-term care residents in Florida. The Governor’s budget increase will expand the visibility of the resident-focused program, grow the volunteer ranks, and subsequently increase the number of ombudsmen visits to each facility. Volunteer ombudsmen help the residents and administrators work together to resolve issues before they result in more costly regulatory referrals. This additional funding will help the program’s outreach and volunteer recruitment efforts to ensure it has enough ombudsmen to advocate on behalf of the welfare of the growing long-term care resident population. 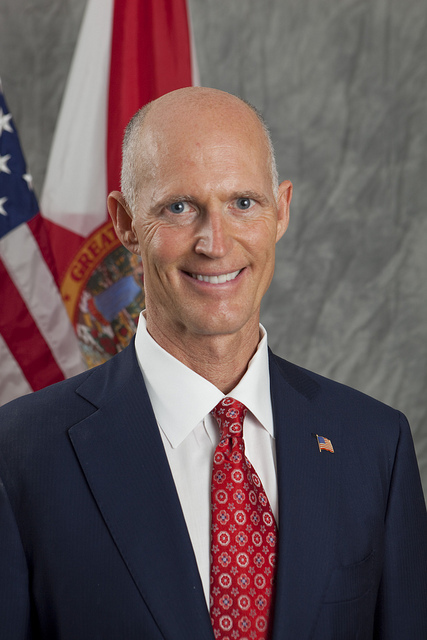 Governor Scott is recommending an additional $3 million for the Statewide Public Guardianship Office (SPGO), which is responsible for designating Florida’s public guardians who serve needy elders who lack the capacity to make their own decisions and have no willing or able family member to act as their guardian. The office is also responsible for the education and registration of all professional guardians in Florida. In January 2013, the office only had contracts for public guardianship coverage in 27 of Florida’s 67 counties. In less than one year, the Department accomplished full coverage in all 67 counties. With the exception of Delaware, Florida is the only state to have public guardianship coverage in every county. The Governor’s budget increase will be used to complete and fund the statewide expansion of the program and provide guardianship services based on need. Karen Campbell, Executive Director, Office of the Public Guardian, Inc.
Melinda Coulter, Chairperson, Foundation for Indigent Guardianship, Inc.
Nick Barton, Executive Director, AGED Trust, Inc.
“We are very pleased with the Governor’s recommendations for this program that enables providers to serve the frailest population in need of care through SMMC.